Pakistan must take on a substantive role in peace talks with the Taliban if the war in neighbouring Afghanistan is to be ended, said US Defence Secretary Jim Mattis. Mattis was responding to a question from reporters about the letter written by the President Donald Trump to Pakistan Prime Minister Imran Khan, seeking his support in the peace process in Afghanistan. In his letter, Trump has made it clear that Pakistan’s full support over the issue “is fundamental” to building an enduring US-Pakistan partnership. “It’s time for everyone to get on board, support the United Nations; support Prime Minister Modi’s, (Afghan) President (Ashraf) Ghani and all those who are trying to maintain peace and make for a better world here,” Mattis said. Last month, the US had said that Pakistan needed to do more in its fight against terrorism and the Trump administration expects Islamabad to act against terror groups like the Haqqani network and Lashkar-e-Taiba in the same way as it did against al-Qaeda after the 9/11 attacks. Recently, the Trump administration cancelled $300 million aid to Pakistan over Islamabad’s perceived failure to take decisive action against terrorists and militants. This is in addition to another $500 million in aid that was withdrawn earlier this year at the behest of the US Congress. 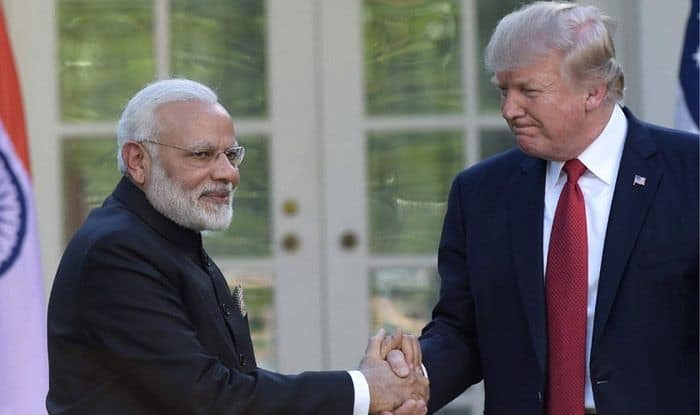 In his first tweet of the year, US President Donald Trump had expressed his dissatisfaction over Pakistan’s reluctance in taking strong action against terrorists. “The United States has foolishly given Pakistan more than 33 billion dollars in aid over the last 15 years, and they have given us nothing but lies and deceit, thinking of our leaders as fools. They give safe haven to the terrorists we hunt in Afghanistan, with little help. No more!” Trump tweeted.